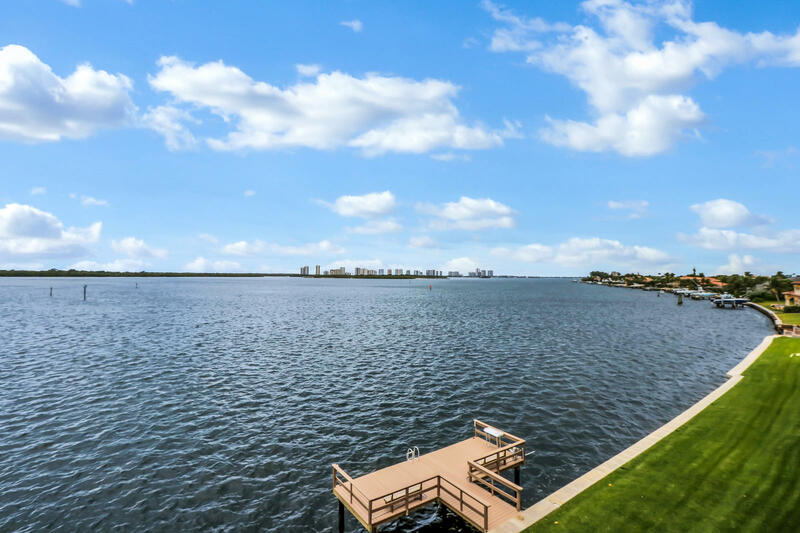 Stunning Intercoastal water views from this impeccably renovated 4th floor corner end-unit. With design work completed by an award-winning architectural firm, absolutely no detail was missed! Bright and open concept leads to DIRECT EASTERN, 180-degree balcony water views. Improvements include gourmet kitchen with quartz countertops, impact-hurricane windows, automatic roll-down master window blinds and more. This unit overlooks MacArthur State Park and Singer Island and is a 7-minute walk to North Palm Beach Country Club. Landings South even features their own community dock! Do not miss out! This stunning unit will not last long!